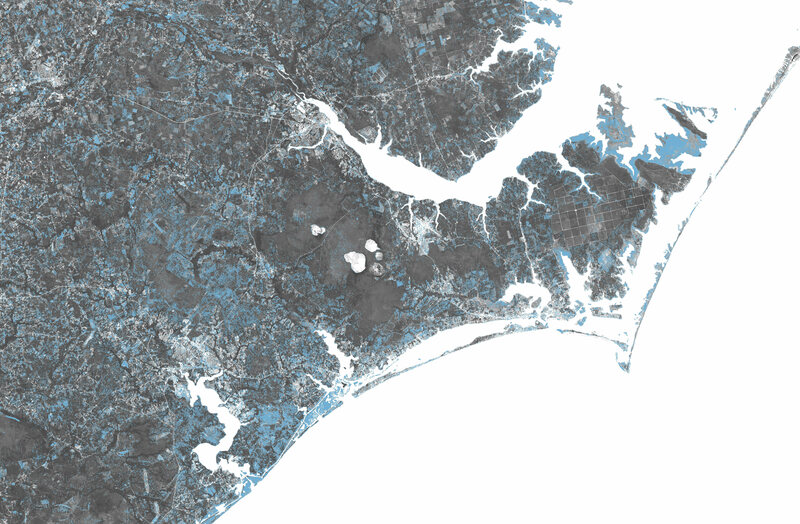 Elizabethtown and Swansboro, North Carolina, received the highest recorded rainfall totals in the region�surpassing 33 inches (83 centimeters)� from September 13 to 18, according to the National Weather Service. 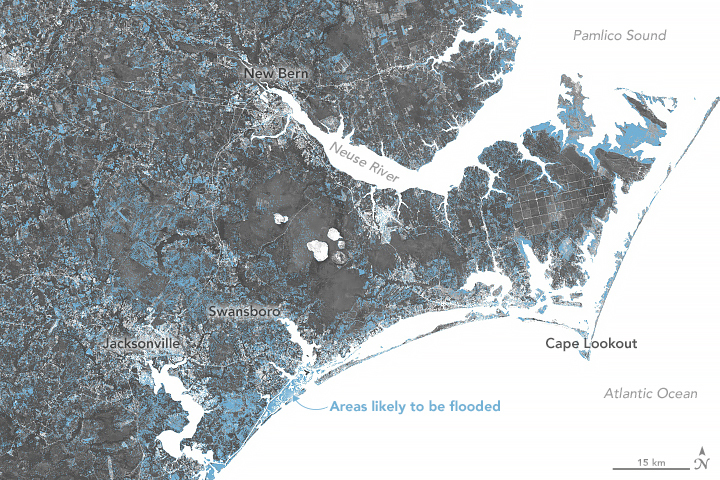 Trent River, about 40 miles (60 kilometers) northwest of Swanson, swelled to levels exceeding previous records. 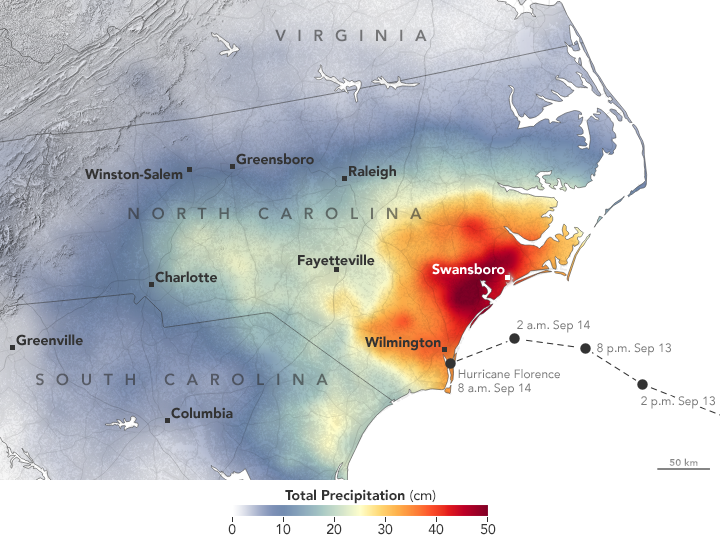 At least 28 cities and towns in North Carolina received at least 20 inches of rain. 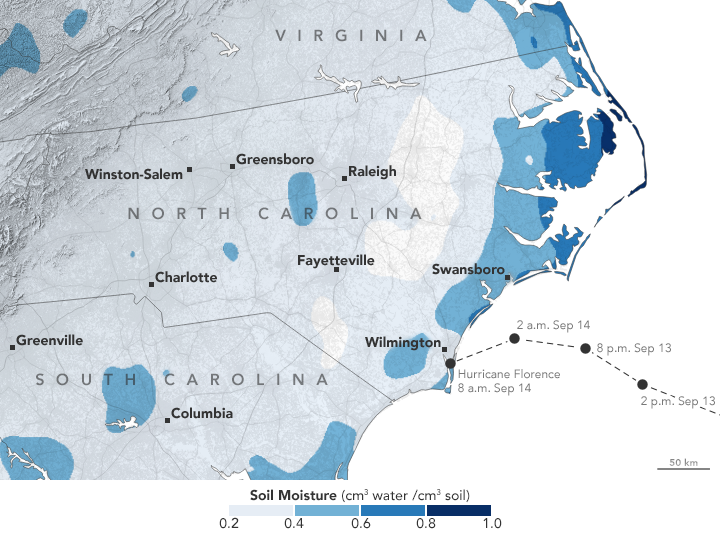 Flooded roads isolated some areas such as Wilmington, where officials were planning to airlift food and water into the city.